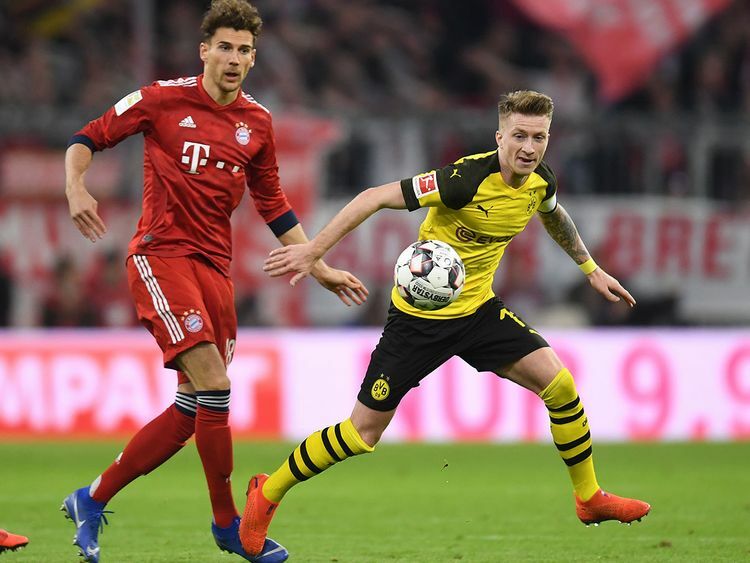 Berlin: Borussia Dortmund captain Marco Reus said his team need to take a long, hard look at themselves after their “catastrophic” 5-0 defeat to Bundesliga title rivals Bayern Munich on Saturday. “We played catastrophically and I don’t have any explanation for it,” Reus told Sky. Hapless defending and poor build-up play saw Dortmund humiliated in a remarkable first half, as Bayern outplayed them all over the pitch and reclaimed top spot in the Bundesliga. “We didn’t leave Dortmund any space to breathe,” said Bayern goalkeeper Manuel Neuer. Dortmund coach Lucien Favre said that his team had been “taught a lesson”, and admitted that his decision to play Reus up front instead of Mario Goetze had backfired. Despite the thumping defeat, Dortmund are still just one point behind Bayern in the title race, and Favre said that his team must put a traumatic evening in Munich behind them. “We have to concentrate on the next games. If we play like we did today, it will be hard to stay in the title race,” he added. With six games to go, Bayern striker Robert Lewandowski warned that there was still “difficult path ahead” if Bayern were to win a seventh consecutive league title. “If we win all our games, then we will do it, but it will be difficult. We have to show on the pitch that we want to be champions,” said Lewandowski who scored twice against his former club on Saturday, taking his Bundesliga career total to 200. Bayern arguably have the harder run-in. They face a tough away trip to third-placed Leipzig before hosting fourth-placed Eintracht Frankfurt on the last day of the season. Yet coach Niko Kovac was optimistic, saying that his team had stuck it their critics with Saturday’s performance. “It makes me particularly happy because there was a lot of harsh criticism directed at my team,” he said.